The guide explained the meaning of the term Zero K. This was rote narration, with plotted stops and restarts, and it concerned a unit of temperature called absolute zero, which is minus two hundred and seventy-three point one five degrees Celsius. A physicist named Kelvin was mentioned, he was the K in the term. The most interesting thing the guide had to say was the fact that the temperature employed in cryostorage does not actually approach zero K.
The term, then, was pure drama, another stray trace of the Stenmark twins. I have clear memories of watching Melvyn Bragg’s final interview with the playwright and screenwriter Dennis Potter on Channel 4 in the April of 1994, just three months before Potter’s death from pancreatic cancer. I’d been a fan of Potter since The Singing Detective – loved and still love his unapologetic individualism, his refusal to compromise – and thought the interview, which was interrupted several times by Potter taking draughts from a morphine-loaded glass of champagne, one of the bravest things I’d ever seen. Two years later, the BBC and Channel 4 broadcast his final two TV series, Karaoke and Cold Lazarus, linked narratives in which a writer, Daniel Feeld (Albert Finney), on being informed he has just weeks to live, enters a spiralling vortex of parallel and future realities. Potter had been rushing to complete the scripts for these series in the final weeks of his life, and seeing them come to life on the screen was an experience as moving as the Bragg interview. Potter’s ghost seemed to be everywhere, and it was as if the existence of those scripts, the playing out of those last works, was in itself a conclusive gesture of defiance from the ever-defiant Potter, a final sardonic chuckle from beyond the grave. That Potter meant his audience to experience such feelings cannot be in doubt, a kind of play-within-the-play, the ultimate fourth-wall fracture. It does not seem surprising that reading Don DeLillo’s novel Zero K, in which an estranged son accompanies his tycoon father to the threshold of his journey into eternity, brought those memories of Cold Lazarus especially rushing back. Straddling the millennium, both Potter’s final teleplays and DeLillo’s sixteenth novel have a leached-out, end-times quality that puts human mortality centre stage and refuses to look away. That Potter’s scripts – almost a quarter-century old now and written while SF was still very much a pariah literature – leap naked into the science fictional abyss, while DeLillo’s novel appears to negate, to brush aside the very notion of science fiction altogether, seems just one further irony. Our narrator is Jeff Lockhart, the diffident, rootless son of multi-millionaire businessman Ross Lockhart, The two were estranged throughout Jeff’s adolescence and early adulthood but since the death of Jeff’s mother, Madeline, there has been a rapprochement. As the novel opens, Jeff travels at the request of his father to a remote compound situated somewhere close to the border of Kirgizstan, an enclave rendered stateless by its very remoteness. This is the home of the Convergence, a top-secret cryonics facility into which Ross Lockhart has poured his life’s hope as well as his wealth. Ross’s second wife, archaeologist Artis Mirabeau, is terminally ill. In twenty-four hours, the moment of her death will be artificially induced and she will be frozen, her body prepared for reawakening at that point in the future at which the diseases that are killing her can be reliably cured. Ross wants Jeff to be present, not just as emotional support but as a witness to the new form of life that Artis is about to embark upon. Then, just hours before his wife’s final journey to the Zero K unit, Ross confronts his son with a shocking decision: he is going with her. …I was already feeling trapped. Visitors were not permitted to leave the building and even with nowhere to go out there, among those Precambrian rocks, I felt the effects of this restriction…The room was not equipped with digital connections and my phone was brain-dead here… The room made me feel that I was being absorbed into the basic content of the place… I wanted to get out of the chair, walk out of the room, say goodbye to her and leave. I managed to talk myself up to a standing position and then open the door. But all I did was walk the halls. She spoke a kind of shadow language, pausing, thinking, trying to remember, and when she came back to this moment, back to this room, she had to place me, re-situate me, Jeffrey, son of, seated across from her. I was Jeff to everyone but Artis. That extra syllable, in her tender voice, made me self-aware, or aware of a second self, more agreeable and dependable, a man who walks with his shoulders squared, pure fiction. The sun is an unknown entity. They spoke of solar storms, flares and superflares, coronal mass ejections. The man tried to find adequate metaphors. 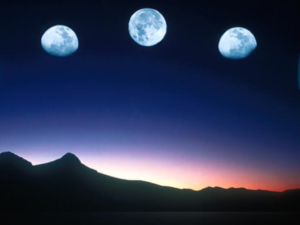 He cranked his hand in odd synchrony with his references to earth orbit. I watched the woman, bowed down, silent for a time in the setting of billions of years, our vulnerable earth the comets, asteroids, random strikes, the past extinctions, the current loss of species. Blinking man beginning to enjoy himself, I thought. I saw him at home, head of the table, family dinner, overfurnished rooms in an old movie. He was a professor, I thought, who’d abandoned the university to pursue the challenge of ideas in this sunken dimension as he’d called it. I decided to give him a name. I would give them names, both of them, just for the hell of it, and to stay involved, expand the tenuous role of the concealed man, the surreptitious witness. The concealed man, the surreptitious witness – is this DeLillo describing himself, as well as the person and role of the writer in the more general sense? Jeff does not believe in the Convergence. He cannot put an exact name to his unbelief, yet he quickly finds that the only way he can continue to simulate even a modicum of interest in what is going on there is by fictionalising the place and those who serve it, by ‘giving them names’. The passage from which the above extract is taken forms a sustained, surreal and bleakly humorous back-and-forth dialogue between what is going on in the lecture room and the silent accompanying commentary in Jeff’s head. The further I progressed into this novel, the more it seemed to me that Zero K could fittingly be described as the anti-SF novel, a kind of writing that specifically negated the possibility or usefulness of science fiction literature as it is commonly imagined. Spacecraft, aliens, sentient AI, immortality treatments – Jeff’s guardedness, his unspoken determination – if determination is not too strong a word for a state of mind that Jeff insists should be taken as read – not to believe reduces such concepts to so much mumbo jumbo, as unlikely and undesirable as the idea of human beings suddenly discovering they can fly or walk on water. The Convergence’s faith in altered states may even suggest such things are possible, but for Jeff the greater interest lies in unveiling the secret codes of behaviour that dictate the individual human movement from one lived moment to the next. Here in this endlessly circular debate between Jeff and the Convergence we have a stark illustration of the gulf between the gnarly minutiae of lived reality and the overt leap of faith that speculation entails. Or to put it another way, the irreconcilable difference between the interests of mainstream literary fiction and genre SF. It was pounding him down, everything, the stone weight of a lifetime, everything he’d ever said and done brought to this moment. Here he is, wan and slack, hair mussed, tie unknotted, hands loosely folded at his crotch. I stand nearby, not knowing how to stand, how to adjust to the occasion, but determined to watch him openly. His eyes are empty of any plea he might make for understanding. How things change overnight, and what was hard and fast becomes some limp witness to a man’s wavering heart, and where the man had spoken forcibly the day before, striding wall to wall, he now sits slumped, thinking of the woman he has abandoned. This moment is shocking in its intensity, in its sense of personal failure – yet it seems to pass by quickly and leads nowhere. A scant two years later, we are presented with a resolution of sorts, when we find Jeff preparing for a second trip to the Convergence: Ross has found himself unable to rejoin the common stream of life after all, and has returned to his earlier resolve. He wants Jeff with him, not just as his heir but as his witness. An uneasy rapprochement has arisen between the two, which, if it is not the father-son relationship Ross would have liked, is at least something. Somewhere in the space between his first visit and his last, Jeff has begun a relationship with a teacher named Emma. His delight in this new-found connection is expressed in terms of abstract wonderment, the by-now-familiar halting accretion of statistics, numbers and place names, which function for him as both explanation of the world and reassurance within it, Jeff’s personal rosary beads. Perhaps the most curious aspect of this narrative is the uncommented-upon psychological likeness between Jeff and Emma’s adopted son, Stak. Stak has a similar capacity for remembering statistics and is obsessed with naming things. As Jeff finds himself unable to believe in the Convergence, so Stak rejects all forms of intellectual orthodoxy. But whereas Jeff’s unbelief leads to unbreakable stasis, so Stak’s leads to rash, spontaneous action and inevitable tragedy. That the tragedy happens off-stage, that its one witness happens to be – of course – Jeff, might count as the ultimate sleight of hand in a novel that seems to adopt the subject of evasion as its primary subject. It could be argued that in terms of its relationship to science fiction, Zero K is actually arguing that there is no such thing, that writing about the future is either pointless or impossible – a gaudy lie – that a novel in which the writer attempts to leapfrog the known into a world of sentient spiders or brains in jars is by its very nature going to appear as brittle and false. For DeLillo, the only way of imagining the future effectively is to imagine it into next week maybe, or – if you really want to push the envelope – the back end of next year. If science fiction is ever going to score on a level playing field with mainstream literature, Zero K suggests, then it has to take its inspiration from something other than fantasies of generation starships and alien conquest. Rather, its driving engine must be fuelled by states of consciousness, contemporary politics, the technological and environmental challenges we are currently facing here on Earth. Cherish the language, I thought. Let the language reflect the search for ever more obscure methods, down into subatomic levels. ‘I don’t read a DeLillo novel for its plot, character, setting’, writes Joshua Ferris in his review of Zero K for the New York Times, ‘for who betrayed whom and how hard life with Mother was; for Phoenix days and Bombay nights; or for how to tune a fiddle. I read a DeLillo novel for its sentences. And sentence by sentence, DeLillo magically slips the knot of criticism and gives his readers what Nabokov maintained was all that mattered in life and art: individual genius’. In its chilly abstractions, its repetitive obsessions, its obstinate refusal to properly engage with its own subject matter, Zero K is not an easy novel to become emotionally attached to. In the strength of its writing though, the sheer power of its syntax, its drive to become, it is as firm a proof as is needed not just of DeLillo’s exceptional talent as a writer but of the validity and flexibility of written language for the purposes of witnessing the human experience. I cannot love this book but – similarly with Tom McCarthy’s Satin Island in 2015 – I think it is brilliant, and in its very refusal to acknowledge the existence of science fiction as a distinct literature, somehow the closest to what science fiction can potentially be. For the Clarke to be awarded to a novel like Zero K, though, the award would no longer be the Clarke as we have come to know it, and we would all be writing and reading in a different world. I agree totally. I’ve been reading DeLillo for years now, and there is always a chilliness in his writing, a challenge to the reader: don’t get emotionally invested in this story because that’s not how it works. And in many ways the Convergence feels like a physical embodiment of DeLillo’s fiction. His concern is with emptiness, with what is absent (emotionally, spiritually, artistically) in the lives of contemporary Americans, and the progress from the mess of real life into the austere blank corridors of the Convergence and beyond that into the ultimate emptiness of the cryogenic chamber, is a stark and at times beautiful expression of that central concern. It is definitely not science fiction (though DeLillo has flirted with sf before in novels like Ratner’s Star and in occasional short stories) because what is important to the story is not the technological aspects of the device or the experience of going into the chamber or any of the other things that a science fiction story would normally concentrate upon. Anyone wanting to write Zero K as a science fiction story would produce a very different work to what we have in this book. But not only is it not science fiction, but rather, as you say, it is actively anti-science fiction. One of the abiding themes in science fiction is the avoidance of death: we invent longevity treatments, immorality serum, we upload our consciousness into the perpetuity of a digital system, we become robots impervious to aging and to harm, we are transformed into aliens, we leapfrog death by lurching into the distant future, we find devices for rebirth. Science fiction fears death and is constantly looking for ways around it. 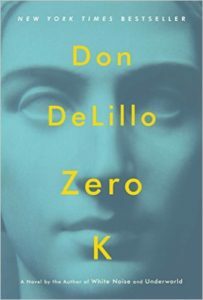 In Zero K, DeLillo confronts us with the sf ideal, a means of avoiding death, and then demonstrates that it is wrong. It is a novel that, in its way, embraces the messiness of life and in so doing embraces the messiness of death, and I really cannot think of anything more anti-science fictional than that. Some lovely observations here, Paul. While I was reading this novel I found myself thinking about the various treatments of the immortality theme that we have seen in science fiction – the way it is spun in my immediately preceding Sharke choice Fair Rebel, for example, where it presents as an extreme but fairly simple exemplar of social inequality. Or in Priest’s The Affirmation, where the ‘gift’ of immortality is ultimately revealed as an impossibility, a hall of mirrors-style deception, although in a completely different manner from the DeLillo. What I found most interesting in reading and reviewing this book for the Sharke – more so than the actual novel, sometimes – was the array of questions it throws up around the very nature and purpose of science fiction as such. I can’t help feeling that a literalised version of Zero K, written by someone with a more overtly science fictional interest in cryonics and the biological exigencies of immortality would run the risk of being a great deal more predictable and dull! It is definitely not science fiction … because what is important to the story is not the technological aspects of the device or the experience of going into the chamber or any of the other things that a science fiction story would normally concentrate upon. Just to be clear (as my original comment now strikes me as somewhat ambiguous), I’m not insisting that Zero K is science fiction, I’m taking issue with the view that only stories that concern themselves with the latter part of that statement are. Nor would I disagree with Nina’s I can’t help feeling that a literalised version of Zero K, written by someone with a more overtly science fictional interest in cryonics and the biological exigencies of immortality would run the risk of being a great deal more predictable and dull! Which seems to echo Paul (Kincaid)’s supposition above about the treatment of and emphasis on new technologies within a story being the deciding factors. For myself, I remain undecided. 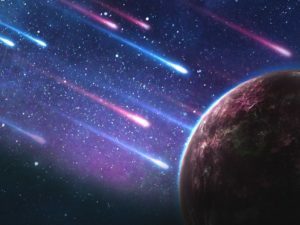 The more I think about it, the more I feel convinced that with SFnal conceits and tropes being increasingly assimilated into the mainstream, now more than ever before, the only meaningful standard of criticism is to consider all novels equally on how successful they are as novels, and do away with the special pleading for novels as SF altogether. I know this would wreak havoc upon the Clarke Award, but maybe it’s time! A brilliant review. Even if the future for science fiction literature is uncertain, I suggest there is a future for this kind of science fiction criticism; that is, for a critical viewpoint informed by the history of speculation applied to works that do not self-identify as SF but arrive at a moment partially shaped by the delusions and dreams of speculation . I’m glad you think so, Matthew – thank you. Certainly it’s this kind of writing – looking more deeply into subject areas rather than ‘pure’ reviewing – that is most interesting to me in criticism at the moment. Echoing Matthew, first of all I just want to say that this was a terrific review. … in its very refusal to acknowledge the existence of science fiction as a distinct literature, somehow the closest to what science fiction can potentially be. Independent of whether Zero K is science fiction or anti-science fiction (isn’t a strong negative influence still an influence? ), this is exactly the kind of conversation that I would like to see the Clarke having about itself every year, completely independent of marketing categories: what is the nature and purpose of science fiction? Phil, the major difference between Zero K and John Crowley’s Snow is that in Crowley’s excellent story the irrelevance of the voice of the dead arises because the dead can only inhabit the past and memories ; the world changes within the story and that is where the focus lies. It is an interesting take on the subject but it is still a science fictional take. For DeLillo, the quest for immortality is an abdication of life, death is important because without it you don’t have life. It is a similar topic but a very different approach.